When Vai (Tara Walker) discovers a box of old 16 millimeter film in her immigrant father - Basti's (Vincent Caldoni) basement, a series of events are set into place that may tear her and her father apart. The box of film reveals itself to be an unfinished German documentary featuring the long-dead mother, Miora (Yona Prost), she never knew. It tells the story of Vai's parents as a young, newlywed couple, deeply in love as their country dissolves into a horrifying civil war. As relations strain between Vai and her father she finds herself falling for a dangerous boy from her father's country and her world unraveling. 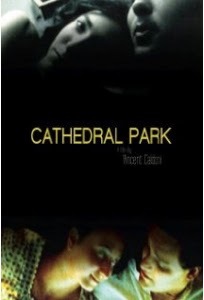 Cathedral Park is a film about families and secrets that blurs the lines between past and present, new worlds and old, reality and fiction.